Just a couple of screenshots here… The first two below show you what the NCALNE Assessment Pathway looks like. In the first one you can see the content modules on the top. Underneath are the Assessment Pathways. You’ll notice that the first two Assessments are unlocked. Assessments 3 through to 7 are locked. You can unlock them by completing the ENROL pathway. When you do this you need to submit the first two assessments and pay the participant fee to kick off the assessment process. This fee is still to be announced. Once you enrol with ALEC you’ll trigger the start of the assessment process by submitting your first two assessments. 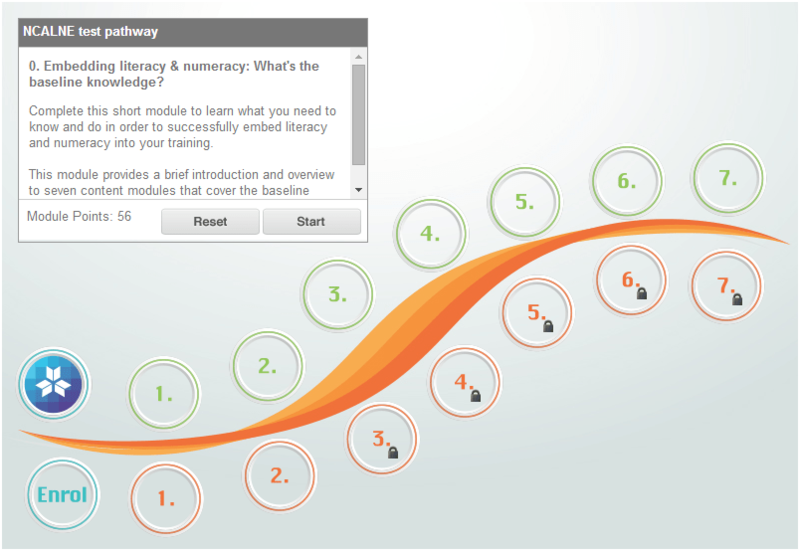 The unlocked Assessment Pathways will look like this. 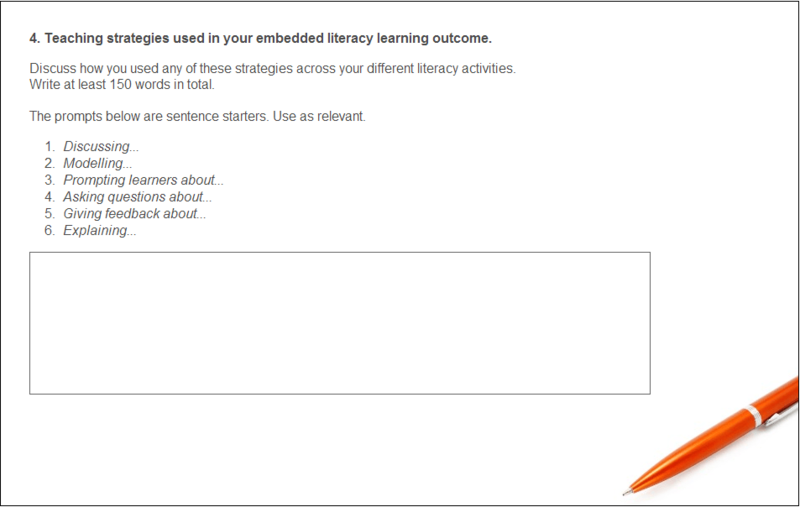 And here’s a couple of example screen shots of what part of assessments will look like. This one is part of Assessment 5 which is the teaching component in the NCALNE (Voc). And this one is part of the final assessment which is on evaluating your embedded literacy and numeracy project work. I like it a lot. This initiative will force tutors to ‘get with the digital age’. Looking forward to your presentation next week. Must get cracking with mine!